Four young musicians including DECO regular, 15 year old Charlotte Howdle were among the musicians who performed for the Lichfield Cathedral Service on Christmas morning. 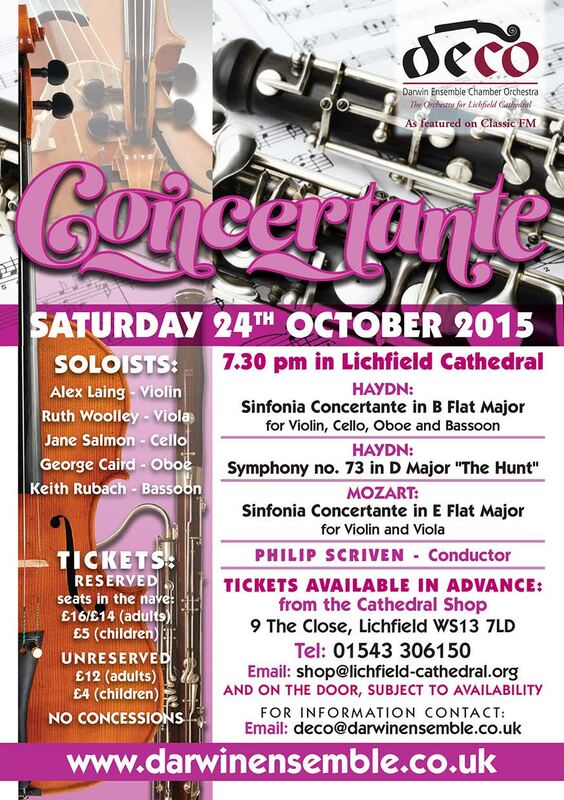 It is super that DECO can give opportunities to the next generation of classical musicians to perform professionally. 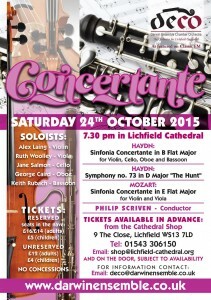 DECO is performing this Saturday at Lichfield Cathedral.